Warning! 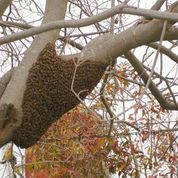 If you have a swarm of bees that are threatening the safety of you, your family or your neighbors, don’t hesitate – call your Long Beach bee removal experts at Bee Busters! Long Beach is a central overseas shipping hub for the Los Angeles area. One of the best attractions that this city has to offer is the Queen Mary. This was one of the largest ocean liners in its’ day, now transformed into a hotel and local tourist attraction. It is also said to be haunted, even explored by the now famous show Ghost Hunters. It has a quaint little village next to it that offers a wide variety of souvenirs. If you have ghost problems you know who to call but what if you have bee problems?? Bee Busters! Just like with ghosts, it is hard to handle the problem yourself. You may even be dealing with the highly aggressive Africanized Honeybees. Fortunately, Long Beach bee removal is expertly provided by Bee Busters, inc. We can provide bee extermination, hive removal, wasp removal, bee rescue, and many other related services. 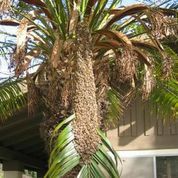 Long Beach Bee Removal – If you have bees in your roof, bees in your fence, bees in your trashcan (it happens), bees in your vent, bees in your tree… bees in any of a wild variety of exciting different places, we can take care of it! If you have wasps in these locations we can also take care of it. If you have ghosts on your Queen Mary, however, we are not the people to call. Long Beach Beekeeping – Keeping your own bees can be a fun and rewarding hobby. David Marder was just twelve when his interest in bees turned into a beekeeping hobby, then a professional beekeeper. His ethos of bee control using a beekeeper’s understanding of bees permeates our company and we are always interested in helping others get into beekeeping. It doesn’t stop here, Bee Busters, inc. can help with just about any kind of stinging insect situation you may have. We can remove the problem, as well as offering helpful tips and information about what you can do to prevent these problems in the first place. If you have a pest problem don’t try to take it on yourself, call in the professionals, contact the Long Beach bee removal experts, Bee Busters, Inc. at 949-497-6264. 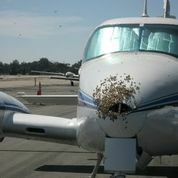 Call your Long Beach Bee Removal Experts Today!